The word bedroom refers to a place that is comfortable, relaxing and offers privacy. The look and feel of the bedroom can have a huge impact on the quality of sleep. 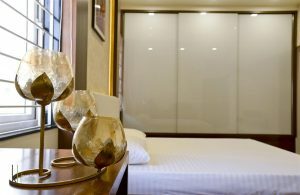 Sleep is important for living a happy and relaxed life and the design and décor of the bedroom plays critical role in ensuring comfortable sleep. Creating a luxurious bedroom is not always about adding expensive accessories and luxury bed linen. You need to make smart décor choices so that you have a gorgeous bedroom. Here are some tips that can help in creating a classy bedroom. Color can really impact the mood one gets when entering a space. Soft neutral colors are generally preferred which allows you to change accessories such as lamps, pillows, lines etc to get just the right look. Window shades and curtains can really enhance the beauty and overall aesthetic of the bedroom. In addition they can be carefully selected to match your overall design theme and be paired with the rest of the bedding and decor in the room to get the exact style you desire. The bed is the focal point of the bedroom so you need to make sure that the bed is perfect. The setting and look of the bed will determine the tone of the whole room. Creating the perfect layers can help in making the whole bedroom look organized and neat. The colors of bed covers and bedspreads should be according to the color scheme of the room. You can add texture by choosing the bedding items of different fabrics. Piling up the pillows is also an excellent way of adding depth and texture to the bed. The accent pillows are perfect for adding the splashes of color and making it look interesting. A bedroom is a place to relax and it is not possible to relax if your bedroom has an impersonal look. You need to personalize the place so that you feel at ease. Cover the walls with your favorite paintings and personal photos so that the bedroom has a homey feeling. The lighting has an important role to play in creating a comfortable and cozy environment. The bedroom should have more than one light source. You should have lighting with dimmers so that you can adjust the intensity according to your needs. There should be bedside lamps as well so that you have reading lights as well. There are decorative lighting fixtures that will add elegance to the place as well.